Despite living in Kent all my life, I’ve never actually visited Howletts before. 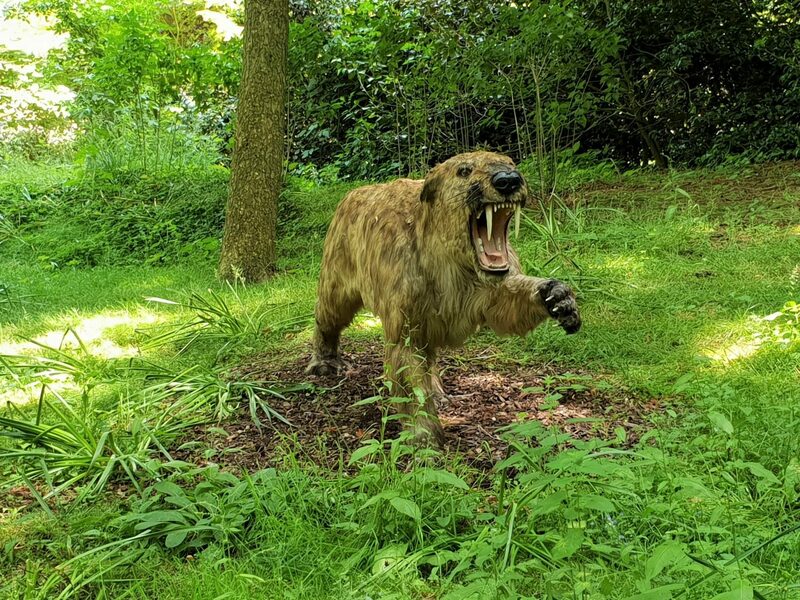 However, I was recently invited to visit and check out the new Animals of the Ice Age exhibit. 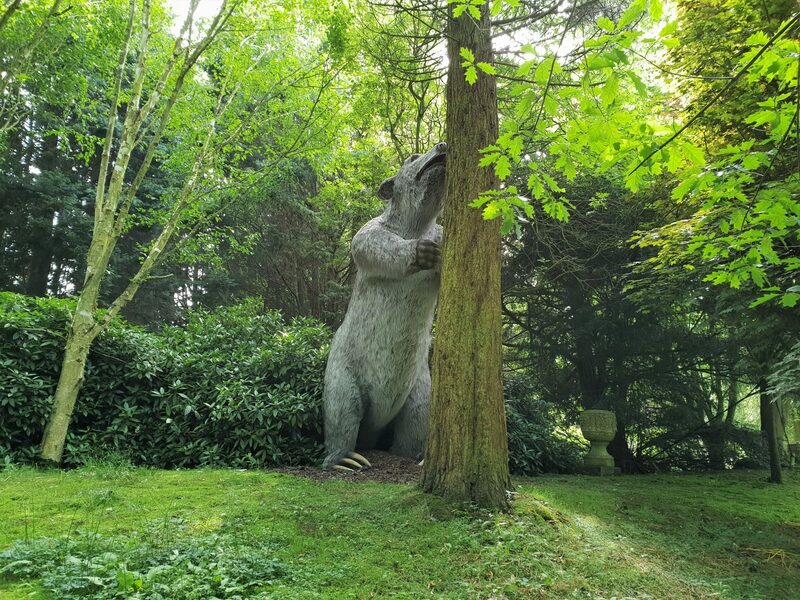 Opened at Easter, this new attraction consists of a woodland walk in which there are life sized animals from the ice age to marvel at. It certainly provides yet another reason to visit Howletts for a family day out! 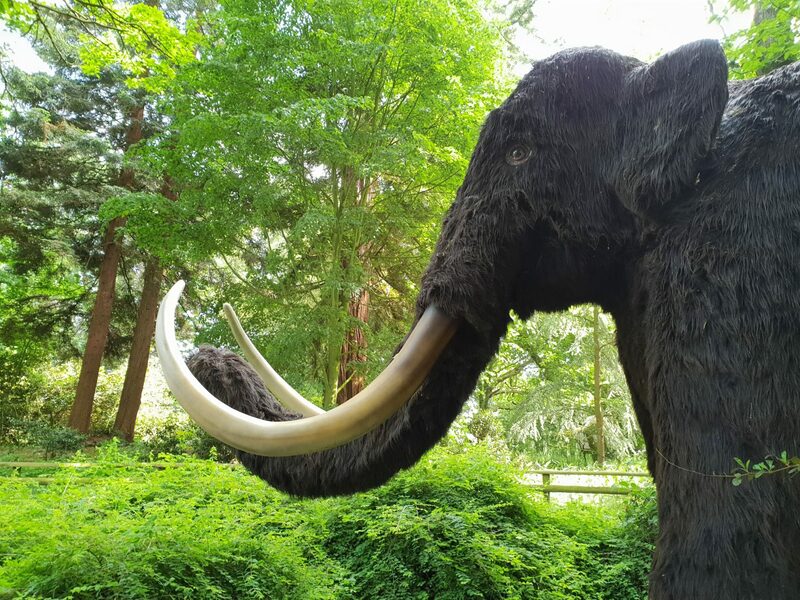 From the side we entered the exhibition, you couldn’t miss the humongous Woolly Mammoth. The variety of prehistoric animals displayed is quite amazing and there is a lot of attention to detail. One of my most favourite things about it is that if you really immerse yourself, you can almost imagine being there. The creatures look almost as though they are about to leap out at you from the woodland or as though they are really grazing. The signage is fantastic too. There are lots of facts, but they’re all laid out in a way that is very easy to read. The descriptions of the animals are clear and written in such a way that children can understand them. 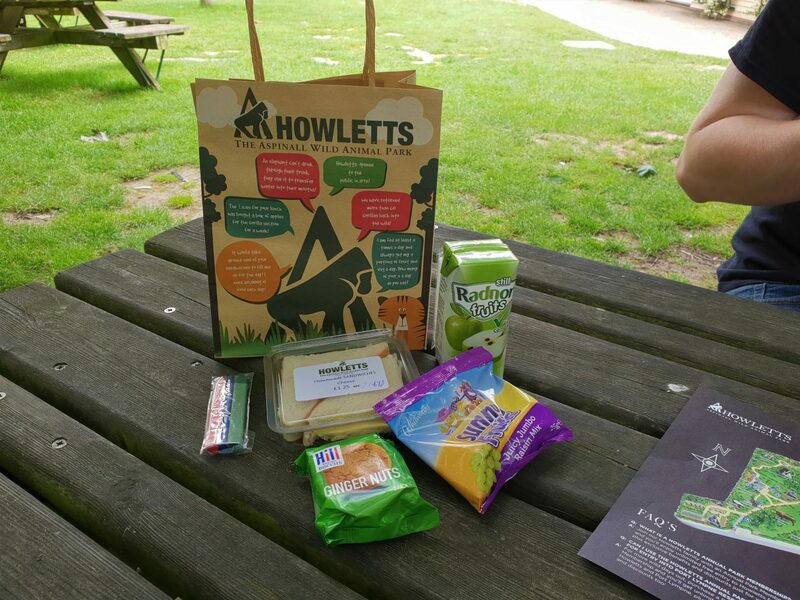 Of course, Howletts is best known for being a Wild Animal Park along with Port Lympne. 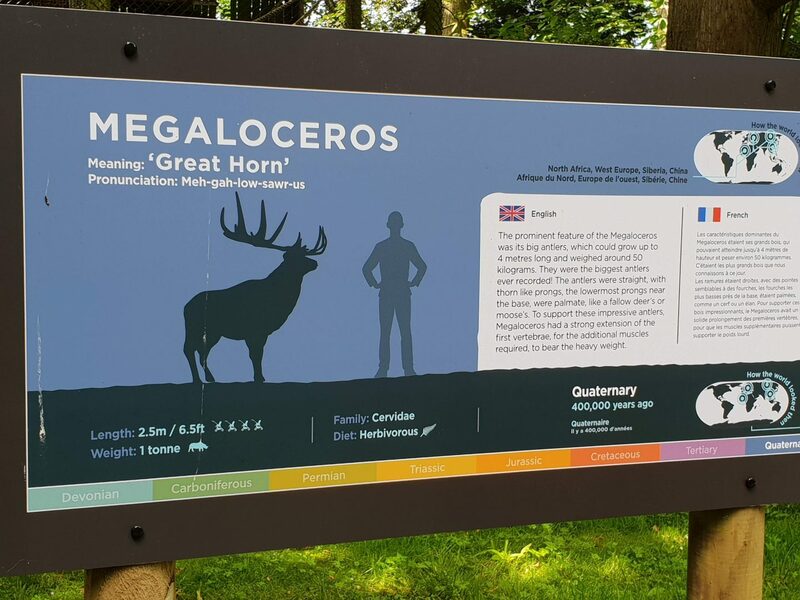 The animals they have differ slightly and Port Lympne has a dinosaur exhibition rather than an ice age one. Meanwhile, Howletts is on the outskirts of Canterbury and Port Lympne is close to Hythe. 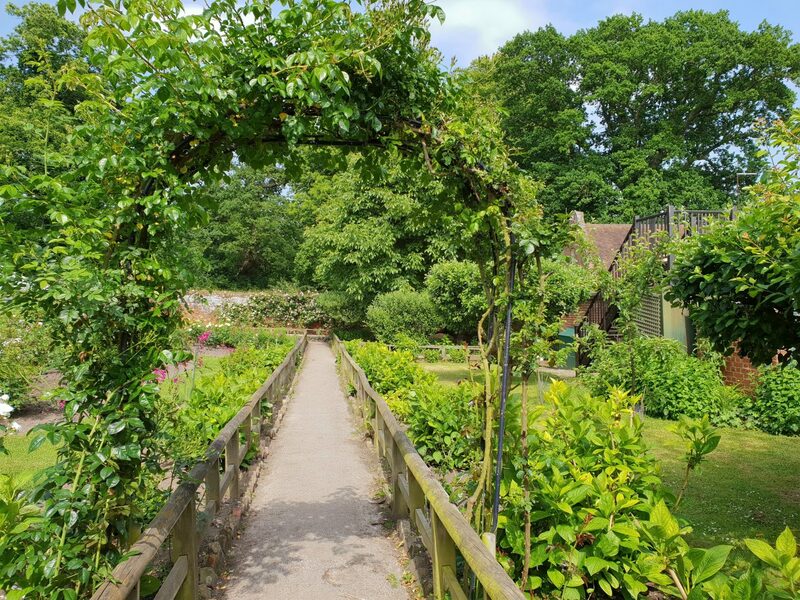 Port Lympne is also a lot bigger to walk around – I wish I’d gone to Howletts for a date day with my husband when I was pregnant instead! 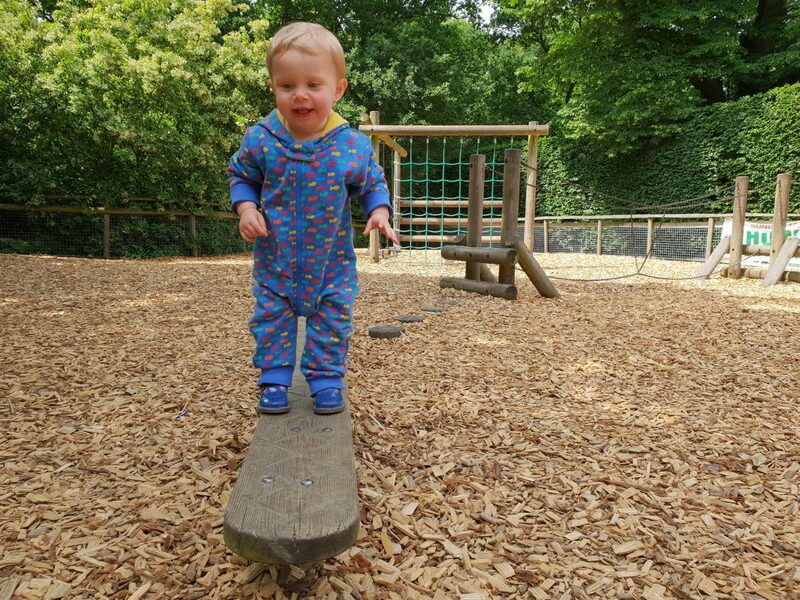 With less hills and less ground to cover, I’d say that Howletts is probably more suitable for people with younger children like us. 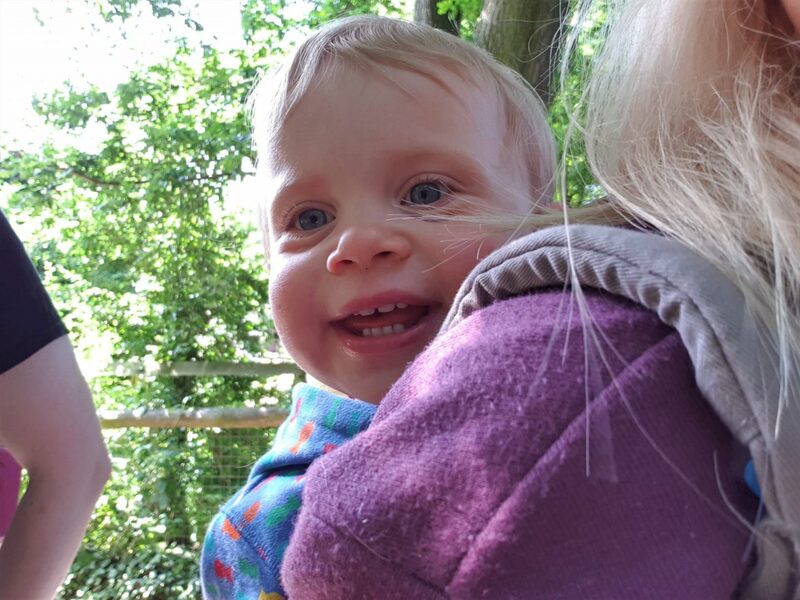 We had a lovely time walking around seeing the animals. Autumn was doing lots of pointing and making the associated noise for each animal we looked at, with the exception of the monkeys. This was because she was so excited to see them that she was leaning back in her carrier and flapping her arms around! I was delighted to see that there was a lemur walk-through. It was hot, so many of them were just relaxing on posts or in the trees. There were ropes for them to walk across above the path, so I was careful to not stand underneath one that was chilling out there! When we’d finished looking at the lemurs, I noticed a board with times of talks about the animals on them. There was one about elephants in 5 minutes, so we followed the map and walked quickly to get there in time. The talk was really interesting and we learnt a lot about the elephants. The amount of food they get through at Howletts each day for these mighty creatures is amazing. We also learnt about how money spent at Howletts goes into looking after the animals, as well as conservation projects. It was also lovely to see so many elephants; they have the largest breeding herd of African elephants in the UK. 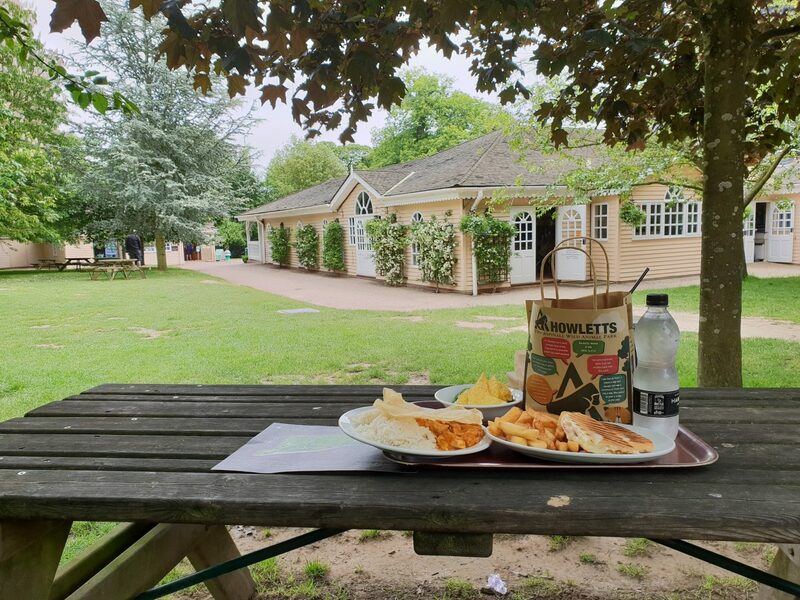 There are a couple of cafes/restaurants at Howletts as well as many picnic benches. We decided to eat our lunch at the pretty Pavilion Restaurant. There was a good selection of food, both cold and hot. My husband had curry, I had a panini, chips and a bowl of salad from the salad bar. Meanwhile, Autumn had a kid’s lunch bag. If you’re eagle eyed, you may notice that there is no 5th item in this picture (well, you can’t eat crayons!) 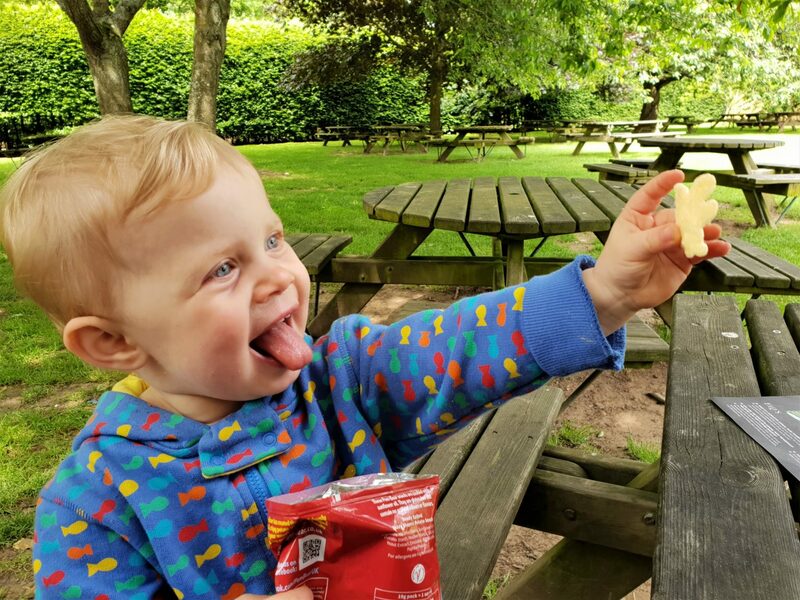 This was because Autumn grabbed the crisps before I could take the picture. 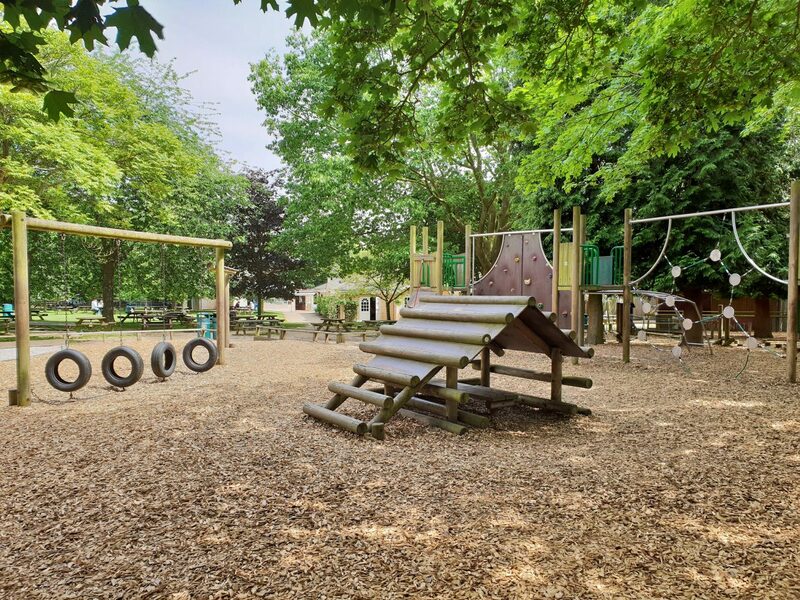 Right next to the outdoor seating area at The Pavilion Restaurant, there is a fantastic playground suitable for children of all ages. As we went on a weekday, Autumn had it all to herself! 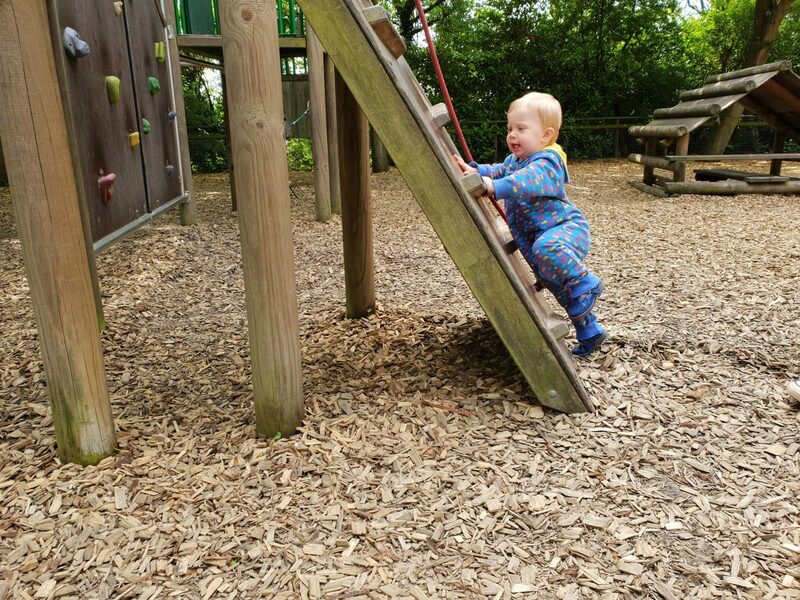 She really enjoyed herself, honing her climbing and balancing skills. 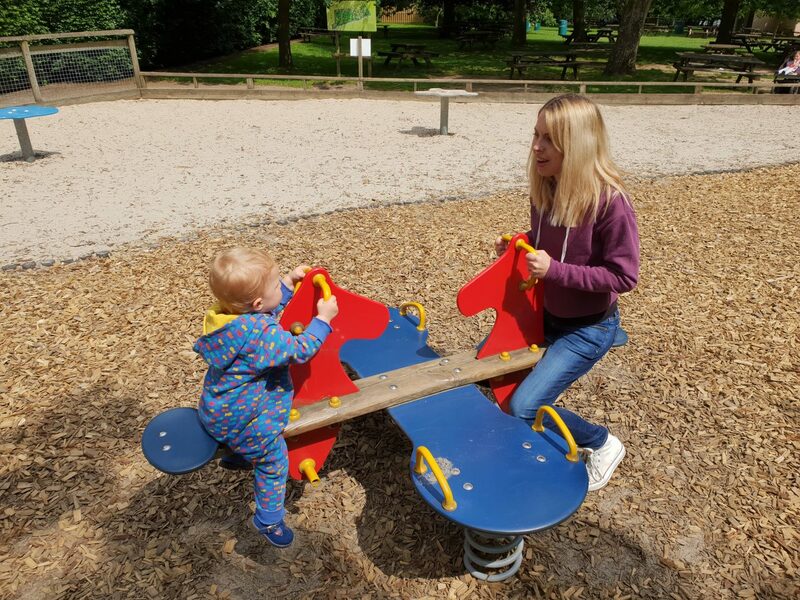 Okay, okay…I might have got in on the playground action too! 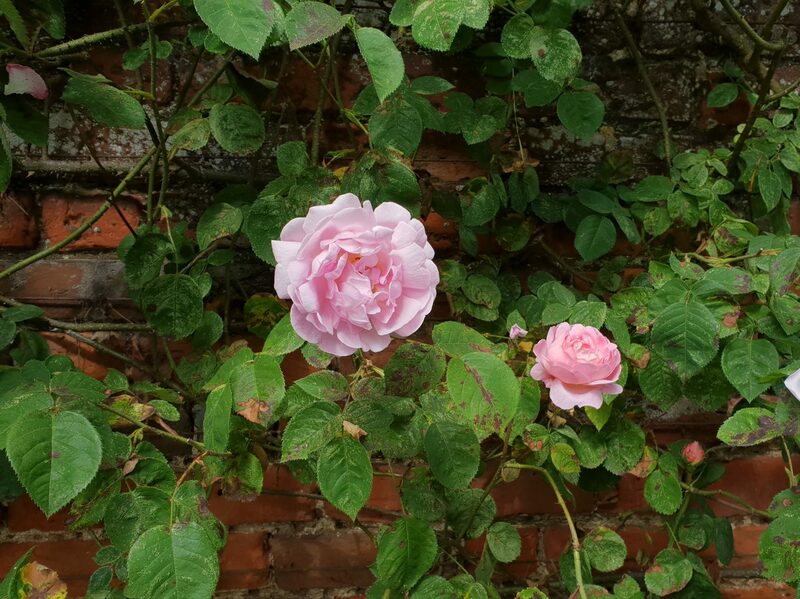 Near the end of our visit, we found the gardens at the farthest end of the park. 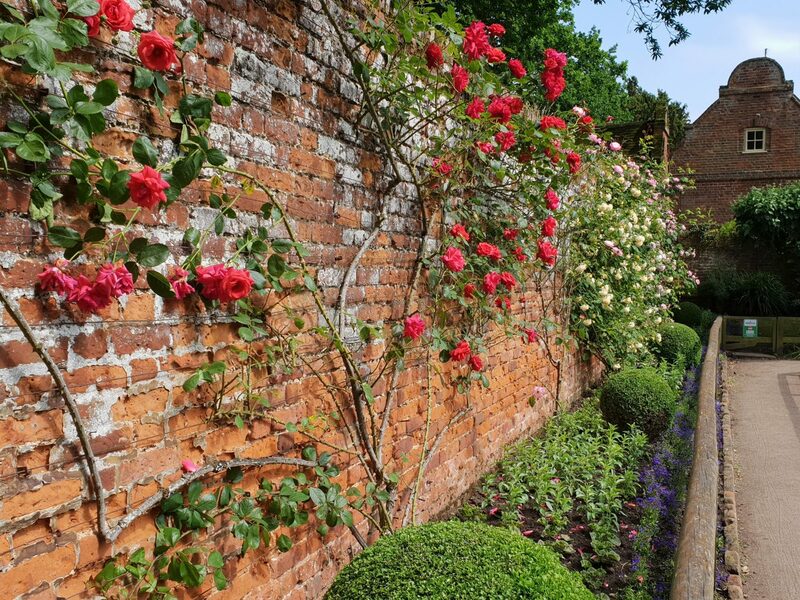 There were herb gardens where all kinds of herbs are grown and harvested for the benefits of the animals as well as a gorgeous garden of roses and other flowers. It was a beautiful, unexpected surprise. 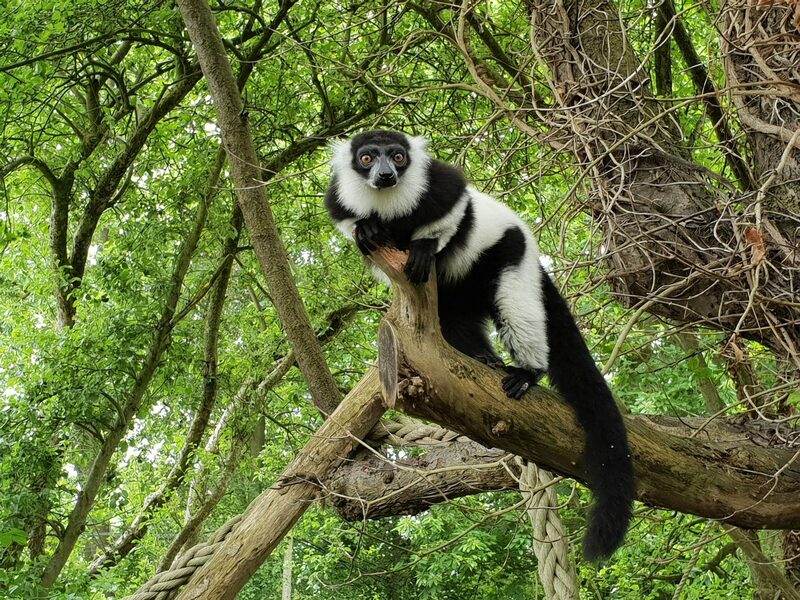 There really is something for everyone at Howletts! We all had a lovely day. Children under the age of 3 go free! It is also worth noting that for Father’s Day this weekend, Dads go free with any full paying adult or child day ticket! It would certainly make a lovely day out to celebrate. 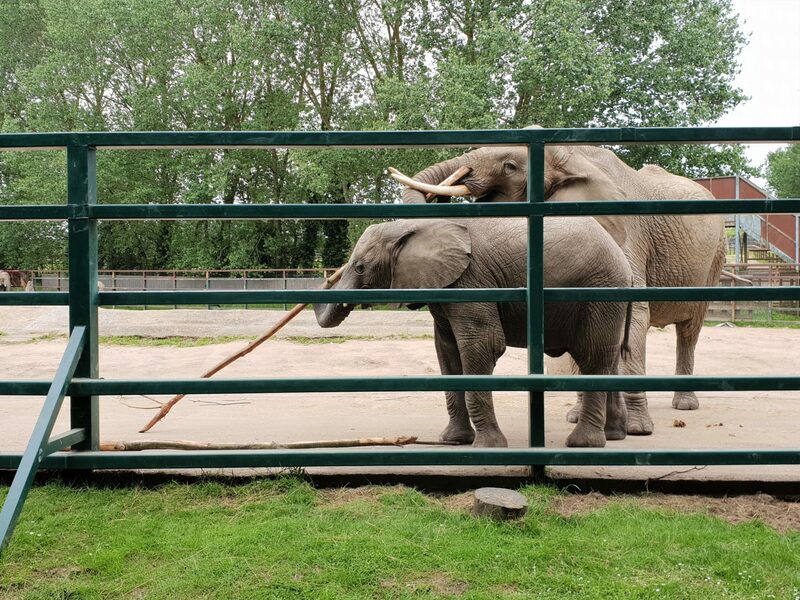 Disclosure: We were invited to visit Howletts for the purpose of this blog post. As always, all views and opinions are honest and my own.